You will develop new skills, expand your knowledge and help raise funds that will make a significant contribution to improving the lives of cats and kittens in our care. You will also meet new people, make new friends and be part of a dedicated team of volunteers. 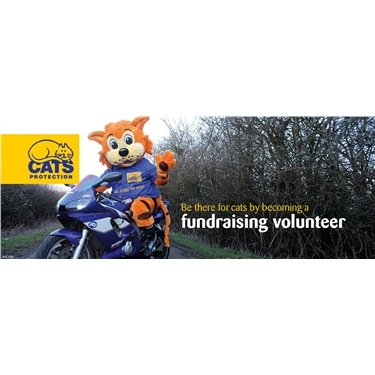 Our fundraising volunteers usually spend 2 to 3 hours per week in this role, which is flexible and can be shared by more than one volunteer. Thank you so much and we look forward to meeting you.